Be the first to share your favorite memory, photo or story of Anita . This memorial page is dedicated for family, friends and future generations to celebrate the life of their loved one. 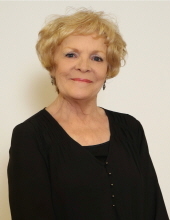 Anita E. Senn, 75, of Moline, passed away Wednesday, September 26th, 2018, at home following a 15-month battle with Glioblastoma. The visitation service will be held at 10:30 a.m., Friday, October 5th, 2018, followed by the funeral mass at 12:00 p.m., at Christ the King Catholic Church in Moline, IL. Memorials may be made to the Ronald McDonald House Charities of Eastern Iowa & Western Illinois. Anita was born on October 9th, 1942, in Milwaukee, WI. She was the eldest daughter of Joseph and Nellie Sullivan-Dzekunskas. She married Donald Senn on April 9th, 1960. She devoted her life to raising her two children, Danette and Daniel and was impacted by her son’s death from Leukemia in 1978. This prompted her to form the Quad City Candlelighters, a local support group for families facing childhood cancer. Anita also honored Daniel by serving on the original Board of Directors for the Ronald McDonald House of Iowa City where he was treated. For 20 years, Anita enjoyed working in the emergency department and the business office of Illini Hospital. Anita came out of retirement in 1995 to help her daughter and son-in-law open their small business, Blaze Restoration, Inc. She gave 22 years of dedicated service up until she became ill in 2017. Above all, Anita valued the importance of family. In her spare time, Anita enjoyed gardening, fishing, baking, and playing cards. She was able to take her dream vacation to Hawaii where she and her family went on a 15-day cruise around the islands. Survivors include her husband, Donald Senn; daughter and son-in-law, Danette and Michael Simons; two granddaughters, Alyssa and Aubrey Simons; seven siblings, James Dzekunskas, Beverly Demeurisse, Victor Dzekunskas, Cheryl Dzekunskas, Gary Dzekunskas, Mary Breitmeyer, and Rita Anderson. She was proceeded in death by her parents, her son Daniel, and her granddaughter Alexandra. Anita’s family would like to give special thank you to her Genesis Hospice caregivers (Maggie, Peggy, and Lisa) for all of their love and support. To plant a tree in memory of Anita E Senn, please visit our Tribute Store. "Email Address" would like to share the life celebration of Anita E Senn. Click on the "link" to go to share a favorite memory or leave a condolence message for the family.